← Video Blog: Portland’s Burnside Brewing Co. 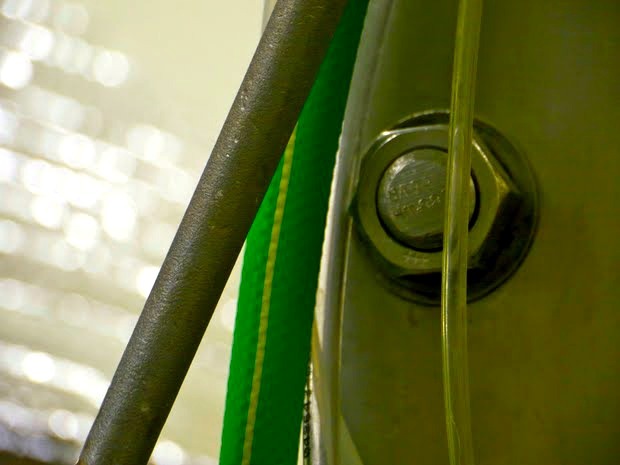 The brewer tells us that most beers “would be sweeter than Coca-Cola without hops.” At Ambacht, they strive to achieve balanced beers without relying too heavily on the hops. Tom claims that people can suffer from “beer burnout” if they saturate their taste buds by drinking hoppy IPAs all the time. 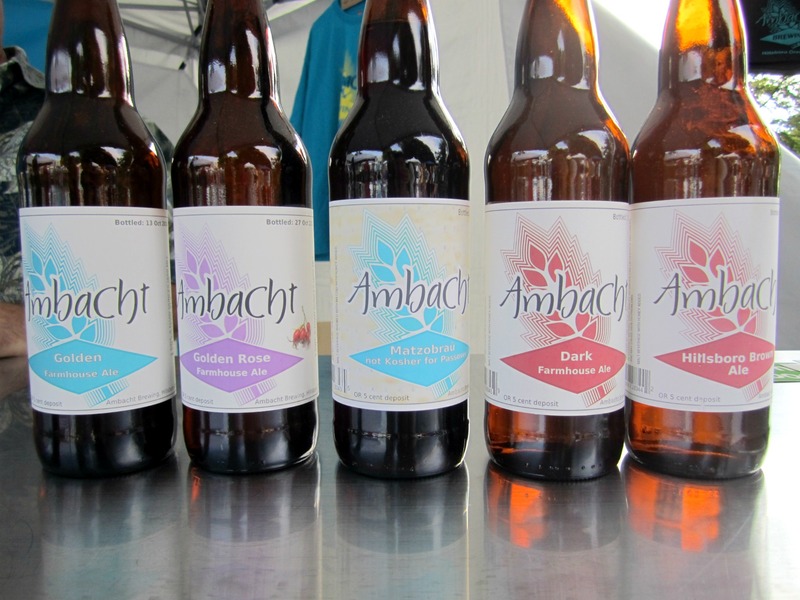 He wants Ambacht to be the beer people turn to when they need to give their taste buds a break. “That way, they don’t have to resort to Coors,” Tom jokes. Currently, the Honey Triple is brewing, and it is scheduled to be ready next spring or summer. When I asked Tom if investing this kind of time (and money) into a process with uncertain results makes him nervous, he replied, “It’s not nerves, it’s more like, ‘How do I schedule this beer?’ and ‘I need more space!’” With the growth Tom and Brandy have experienced in the past year alone, more space might not be out of the question. 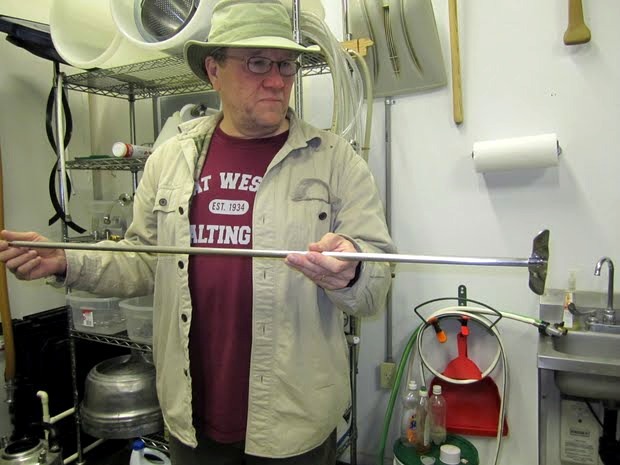 This entry was posted in Food Warrior Interns, In the Pantry (food artisans) and tagged ambacht brewery, Beer, Brandy Grobart, food warriors, gina lorubbio, goschie farms, Real Time Farms, Tom Kramer. Bookmark the permalink.